We absolutely adore fashion and we swoon over the beauty of bridal. 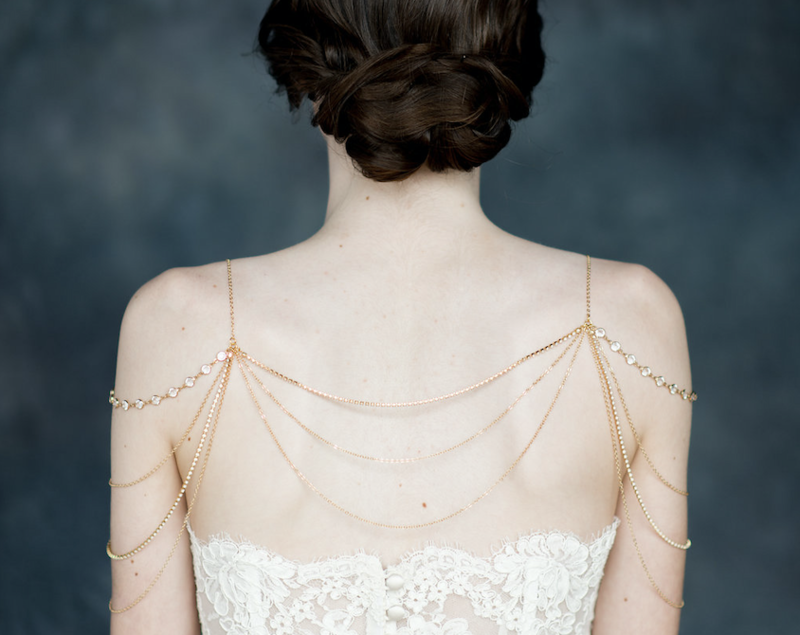 By combining those two loves together we established Blair Nadeau Bridal Adornments in 2009. Beautifully handcrafted yesteryear inspired bridal veils, millinery and adornments. Each piece is meticulously crafted by designer Blair Nadeau in a lovely mint & gold atelier in the greater Toronto area. Over the past 9 years, we have designed, crafted, beaded and stitched thousands of delicate veils, fascinators, crowns, shoulder jewelry, headpieces and petite adornments to be worn by brides and admirers the world over, that can be passed down for generations to come. Utilizing traditional techniques applied in a modern fashion, we create inspired bridal adornments for today's sophisticated bride. 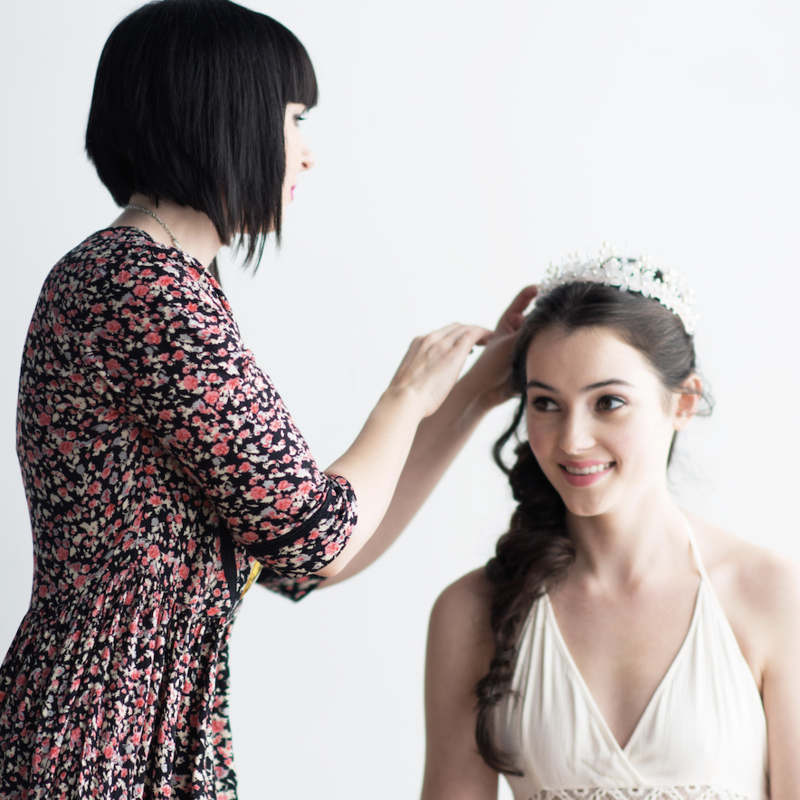 Our work has been worn by Canadian actresses, gifted to A List Hollywood celebrities, featured in British Vogue & Harper's Bazaar, seen on Vogue Italia, and has graced the covers of magazines, newspapers and hundreds of editorial features, in addition to countless top wedding blogs and style blogs. Our work has been staple accessories on all four seasons of the hit CW Television show REIGN, and most recently on the popular new CW show RIVERDALE. Blair Nadeau is an award winning designer as Top 10 Bridal Accessory Designers in the World by Wedding Industry Experts and a Top 3 Finalist for the 2014 Canadian Accessory Designer of the Year from the Canadian Wedding Awards. "She leaves a path of glitter wherever she goes....."
View the collection by Blair Nadeau! Get Social with Blair Nadeau!